The Upton Farm Preservation Network sincerely thanks the PEI Shellfishers Association for the following letter sent to the Hon. Lawrence Cannon, Minister responsible for Canada Lands. We want to assure the shellfishers that we will continue our fight to keep Upton Farm green in order to preserve both the health of the North River and the livelihood of the shellfishers of PEI. 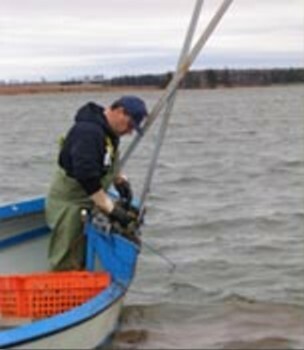 The Shellfish Association of Prince Edward Island who represent 3500 fishers wish to inform you that we fully endorse the work and aim of the Upton Farm Preservation Network. As shell fishers our primary concern is the health of our rivers and waterways, so we can continue our environmentally benign livelihood. The Upton Farm is bordering the North River extensively, and we believe that keeping those lands green and free of development will preserve the health of the river. Part of this river has been under stress due to the placement of an insufficient size drain under a causeway and has just, through much effort, begun to revive itself. As well, traditional access to the waterways are seriously being hampered due to growing private development along rivers and bays. We believe that it is important that as little development as possible occurs along The North River. With the Upton Farm lands being publicly owned, there is an opportunity to protect and enhance the whole environment in this area, that would not be possible was the land privately owned. Intervention to protect this land as a natural area seems to fall in line with your Government’s emphasis on environmental enhancement, and we ask for your assistance in accomplishing this. We ask that you help us maintain a healthy environment by supporting the preservation of the Upton Farm lands as an urban forest/green space. This in turn will protect our historic livelihood. Thank you for your kind attention and look forward to your earliest reply. This entry was posted on June 15, 2007 at 4:03 pm and is filed under Letters of Support, Pictures, Raising Awareness. You can follow any responses to this entry through the RSS 2.0 feed. You can leave a response, or trackback from your own site.